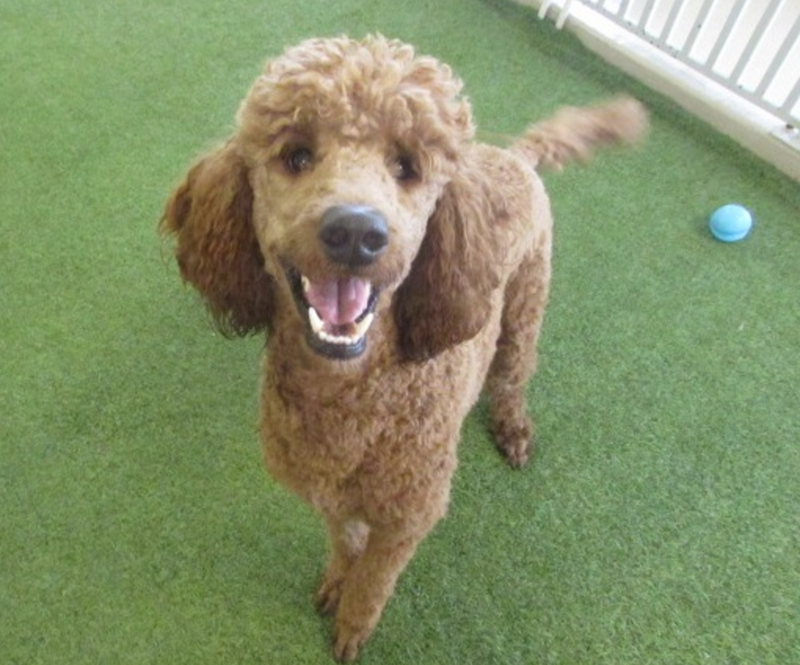 Meet our Pooch of the Week, Cinnamon! 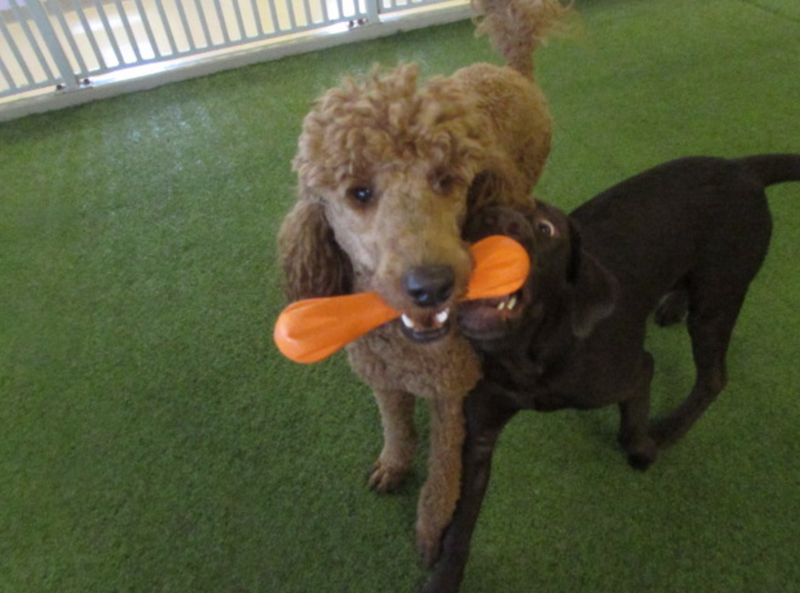 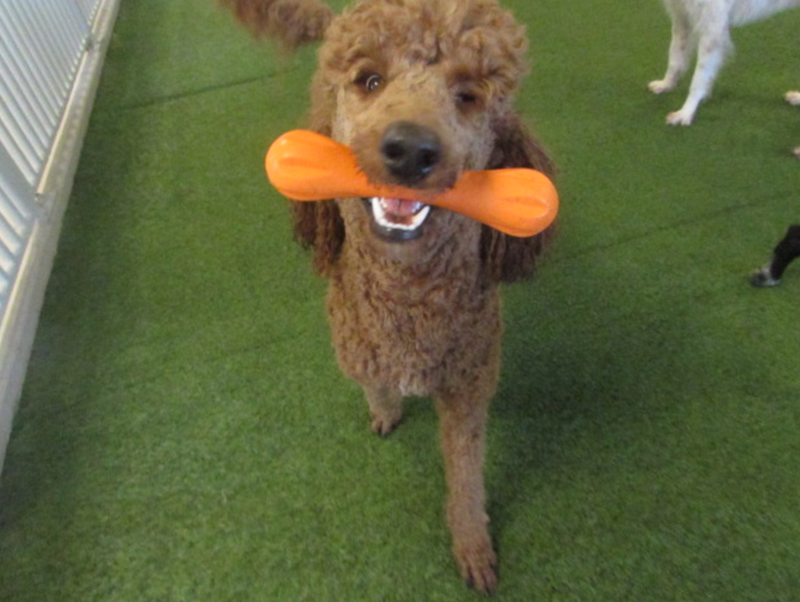 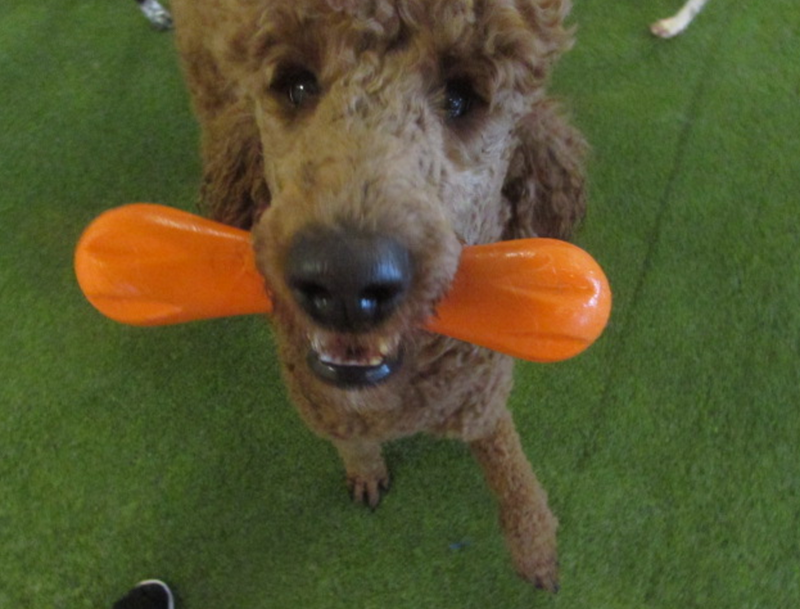 Cinnamon is a one year old Standard Poodle and loves life more than anyone! 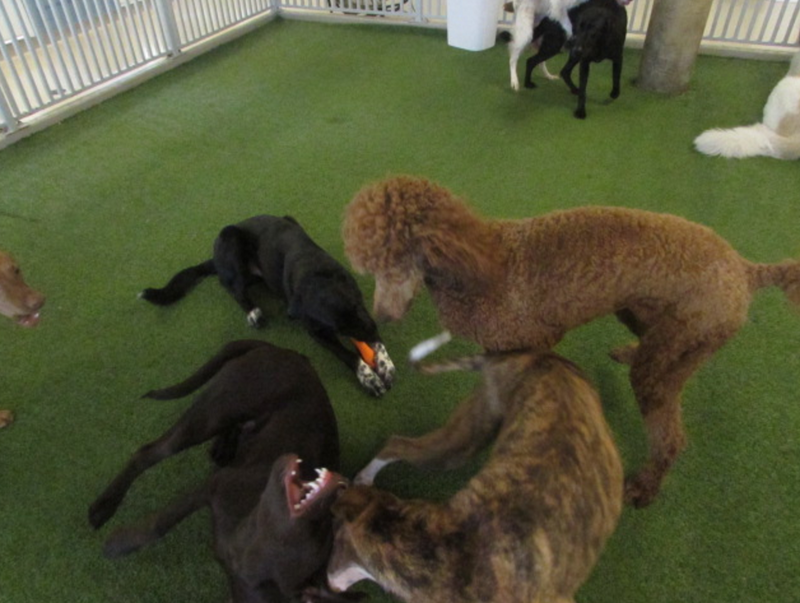 He loves playing with every single dog he can and loves people so much. 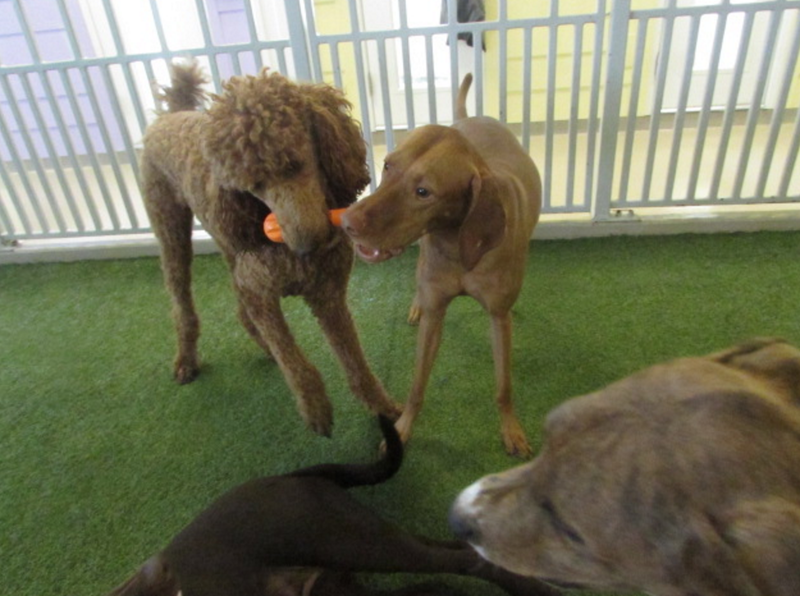 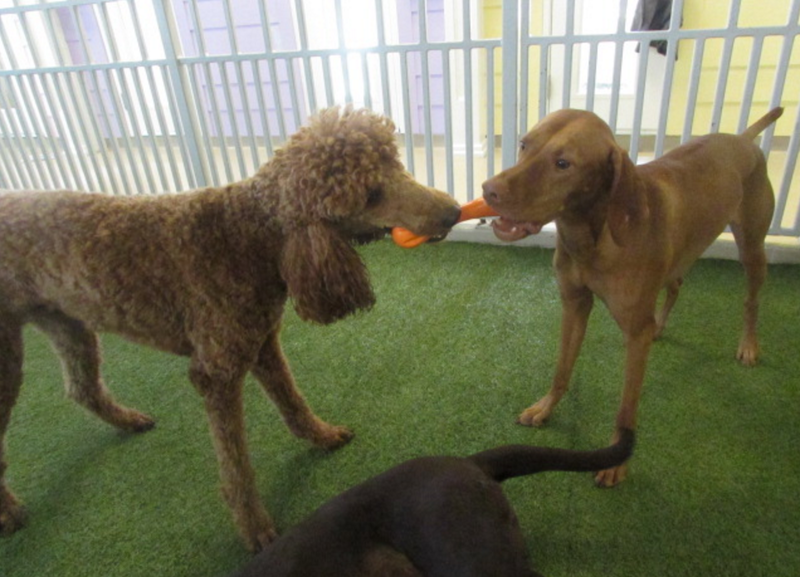 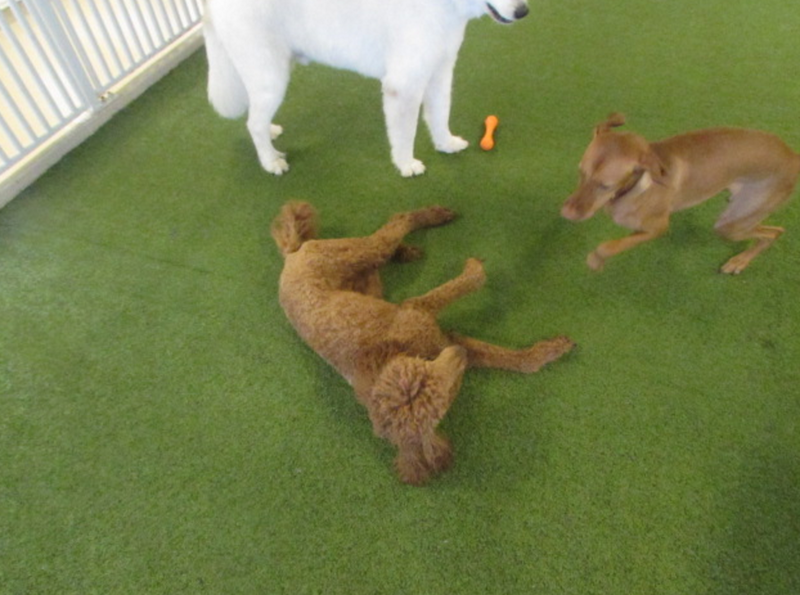 Cinnamon has become our go-to dogs to introduce our new play care pups to since he molds to the play style and energy level of the dog he is playing with. 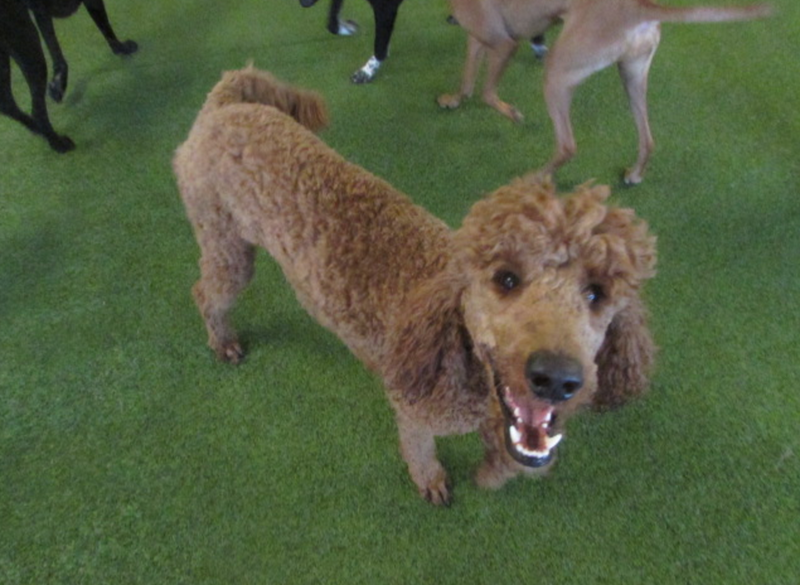 Cinnamon has come a long way since his puppy days and we love him tons!